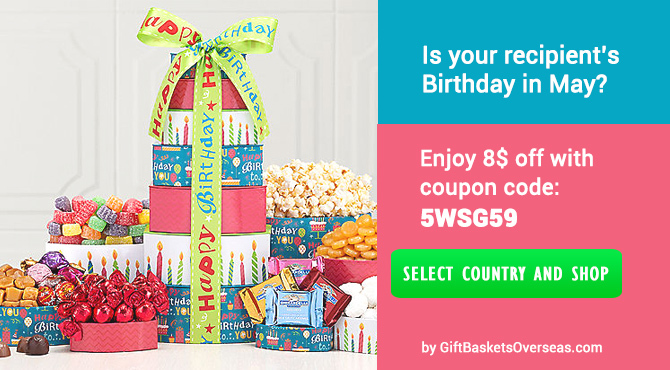 GiftBasketsOverseas.com offers personal & corporate Gift Baskets to the US, Canada & Mexico, Latin America & Caribbean, Australia & New Zealand, Japan, China & anywhere in Asia, South Africa & other African countries, Israel, UAE & Middle East, the UK and all countries of Europe. 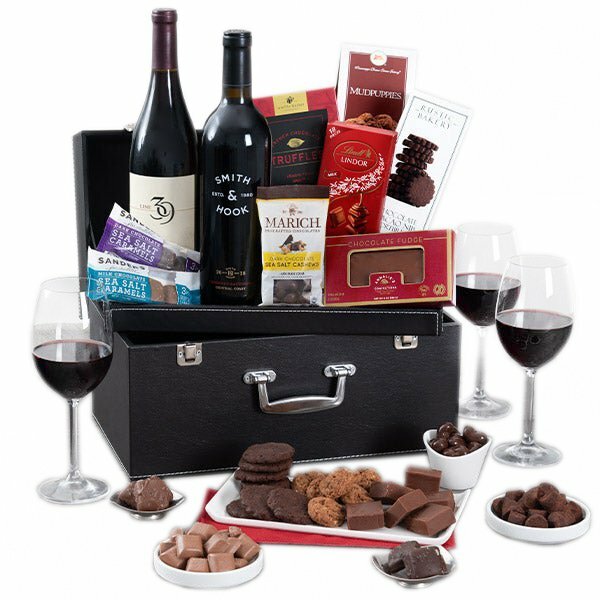 Sending a corporate gift basket order abroad for 5 or more gift recipients? 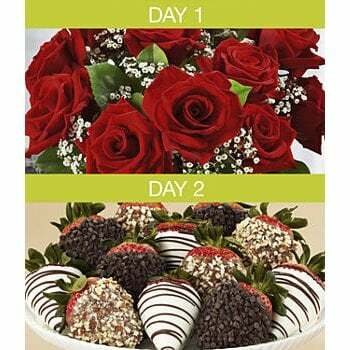 Please download our bulk order form (how-to video), enter recipient details & gift information and email it to our corporate team or submit an inquiry here. We will contact you shortly to finalize your order & process your payment. 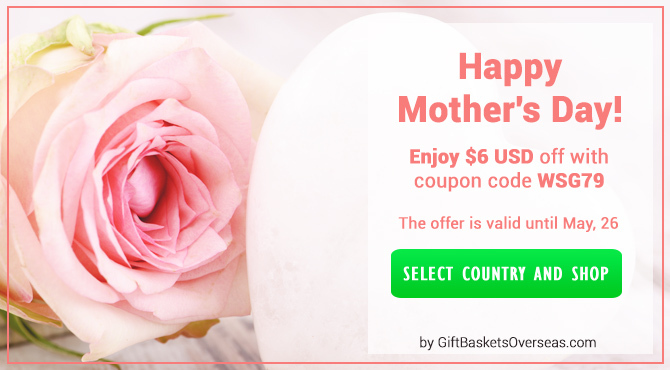 Now, include a logo on your greeting card with your gift order to the USA or other countries Worldwide, for FREE. 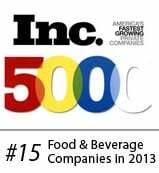 Send us an image file, and your company logo will be inside the gift card (more). 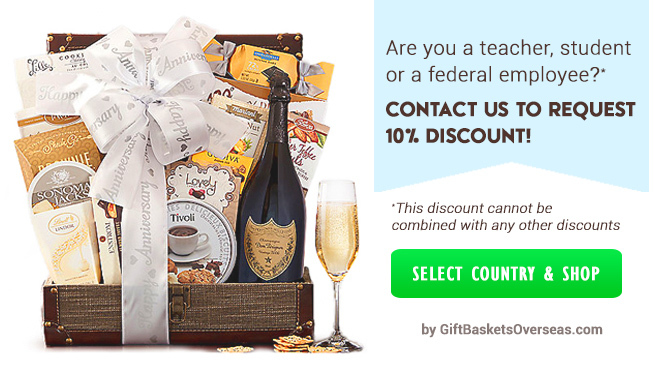 Exquisite gift baskets and international hampers delivered worldwide to USA, Canada, European Union, UK, Russia and other destinations abroad (select a country). 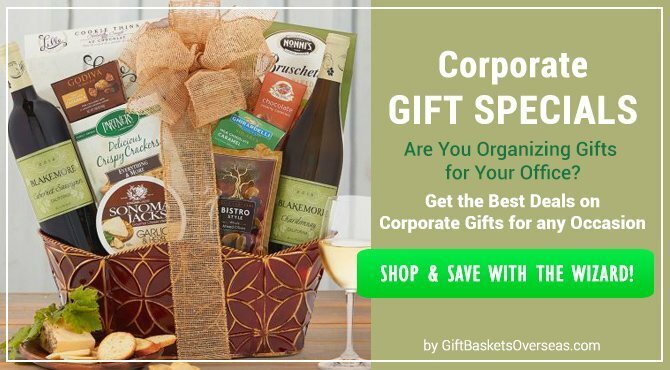 Our Gift Baskets include only the highest quality ingredients to create an upscale presents such as champagne or imported wine gift baskets, delicious cheese baskets, fruit baskets, sweet hampers, corporate gourmet gift baskets and various corporate gifts & presents for serious gift aristocrats. Passover (Pesach), a Jewish festival, celebrated between March 30 and April 7 this year, is just around the corner. It commemorates the tale of the Exodus, in which the ancient Jews were freed from slavery in Egypt. It is one of the most widely observed Jewish holidays in Israel, the USA & Jewish communities Worldwide. 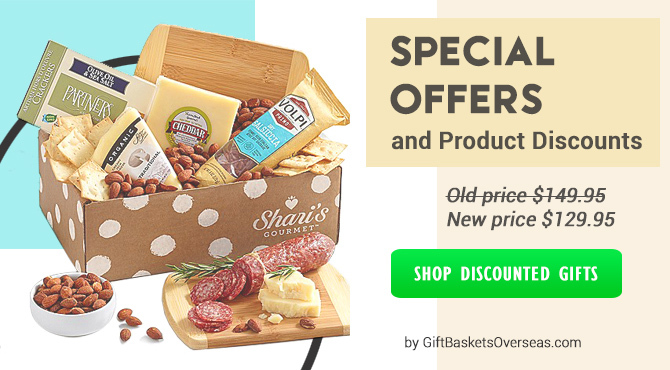 Shop for Passover gifts! Catholic Easter is celebrated on April 21 this year, the greatest feast day in the Christian calendar. 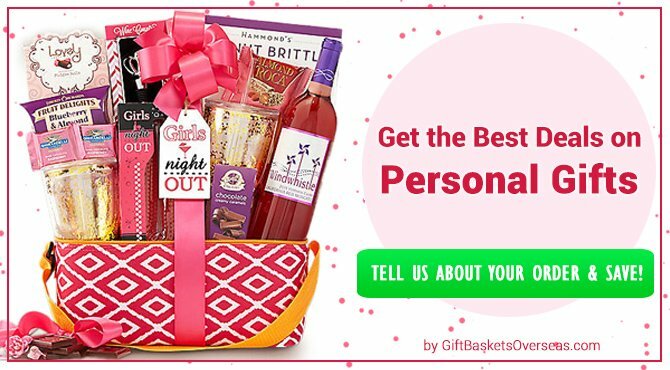 Shop for Easter gifts! Orthodox Easter (Pascha) is celebrated on April 28 this year, the greatest holiday in the Orthodox Christian calendar. Pascha is a transliteration of the Greek word, which is itself a transliteration of the Hebrew "Pesach", both words meaning Passover. View our Orthodox Easter Gifts for delivery to Russia, Greece, and other countries Worldwide. 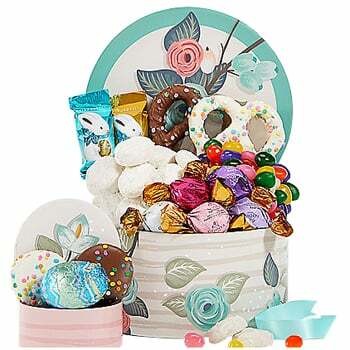 Shop for Orthodox Easter gifts!